CBSE Exam Results 2014 for Chennai and Trivandrum region is declared on cbseresults.nic.in. CBSE Class 10 Results 2014 for Chennai and Trivandrum region have been declared on 19th May 2014. Students who appeared on CBSE Exam 2014 can check their results on the official website of CBSE and the cbse result website from NIC division. CBSE 10th Class Exams were held in March 2014 and April 2014. The exams got postponed due to Lok Sabha elections, this year. A total of 1328970 students had registered themselves for the exams, out of which 793940 were boys and 535030 were girls. CBSE Class 10 had shown an increment of 5.54 per cent of candidates who registered themselves in comparison to 2013. 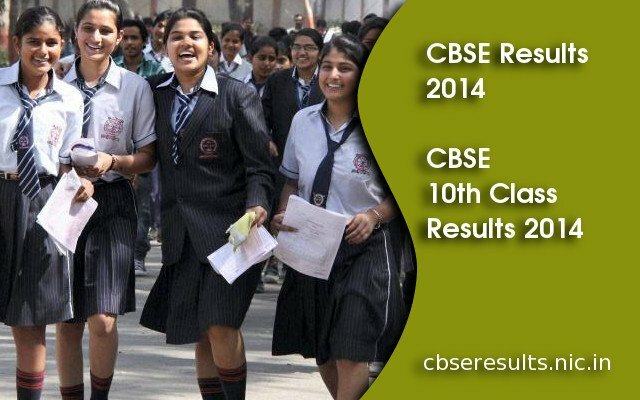 The official link of the website where the results can be checked is mentioned here: http://cbseresults.nic.in/class10/cbse102014.htm. Also, CBSE Class 10 Exam Results for the other parts of the country will be released tomorrow at 4 pm. Besides, Class 12 Results for CBSE will be announced shortly too. According to CBSE, National Informatics Center (NIC) department of information technology, Ministry of communication and Information technologies, Govt of India has notified to help the board with technical problems related to the result declaration this year due to heavy traffic expected in the official site. The Central Board of Secondary Education, also referred to as CBSE board, is expected to declare Secondary CBSE class 10 results for the session 2013-14 on 20th May. The CBSE students can check their CBSE results on the official website of the CBSE education board Cbse.nic.in once CBSE result is declared. CBSE also provides an option for students to check results apart from their website, through SMS.